Astitva - Search for an Identity: Labor or Playground? What is the face of Justice in child labour? Labor or Playground? What is the face of Justice in child labour? Do you remember what were we done at the age of 6 to 14? may be playing with dolls, to trying to win a game in school or may be in a tour to some hill station. Do we ever think about what will be the case of childs who are working in dangerous mines? Do we ever think about small childs working in small and big industrial plants and in agriculture fields? We are frequently hearing about explosions in under ground mines, and many hundreds losing their life in these explosions. What will happen to the childs who are working in these mines? 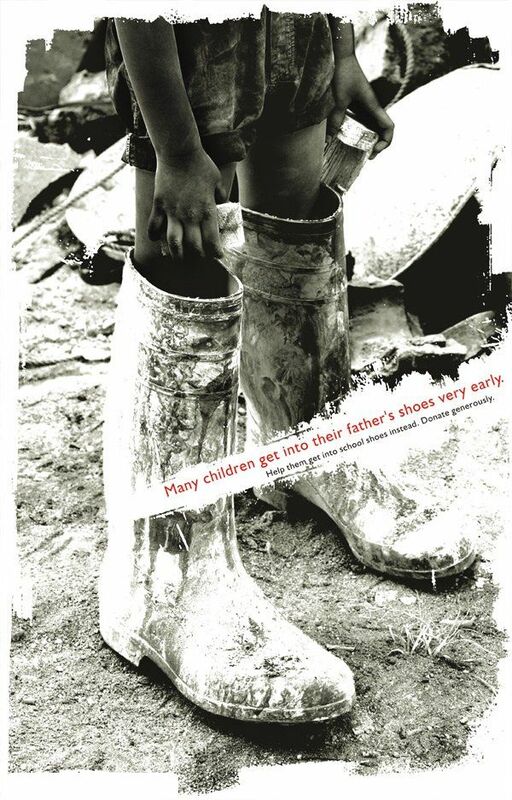 See the report "The State Of World's Children, 2008" by UNICEF. Didnt they like to study Science, Maths, History, business art etc? Didnt they like to talk in mobile phone and login to social networks? Dint they like to be in romance with their girlfriends/boyfriends? But whats happen in there life? They have to work according to theredaily shedule, otherwise how they can live? Whatever we say, like we are living in modern socety etc the basic fact is that even today, the basic law of nature holds good "The Survival of the fittest", they have to survive, for it they needs money, for it they have to work. After all the primary and ultimate goal of human beings states as "Physical and mental satisfaction of mind and body", and the calls of stomach forces everyone to do something. There may be many resons for child labor, but it has only one root; the availability of childs willing to/forced to do work. We know what the forced to part indicates. Willing to part doesnt indicate that childs are willing to do work, but their surrounding forced them to do so, so this is also a forced form. But due to these the childs lose their childhood, they lose their playground, their education. Governments across the world took many steps to stop child labor, many banned child labor, but whats the use with it, if governments didnt provide any alternate way to live? I didnt say that Government shouldnt ban this dangerous practice, infact they should; they have to save every child at the same time they have to ensure an alternate route to live. Childs are doing labour for their and may be for their families survival, so giving an alternate route is necessary. Here government can do a lot of things. First (1) they have to register all the childs born and have to (2) identify the childs who needs help from the government, then (3) they have to rise a mamoth fund to help these childs (4) these childs need proper education and food, so allocate scholarships to them in the most transparent way, the scholarships should be provided in such a way that, it will be adequate for the child to live a good life (Including education, food, home, cloth etc) and it should also be notted that funds should not be used for any other purposes; (5) These can be consider as loans with 1-2% interest or no interest at all, and the amount should be repaid to the government after they got job or 2-3 years after the completion of their education in monthly installments. (6) This money should be used for the funding of the other childs in needed and the cycle should continue (7) and ban child labor completely. You may be disagree with me as how a highly populus country like India, with a population of more than 1.1 bn+ can rise the funds for all these childs? but we have to remember that childs are future, and if we want funds will be there, and iam assure you that if all the deals are transperent, which it should be, after the one and half generation there will not be any need for additional amounts, because the people will repay the scholarships, and if we follow the way child labor rate should be rapidly declarating and soon will remain a history. Whatever be the proposals, please remove the dangerous practice, remember the playgrounds of the world have to be filled with the happiness of the sons and daughters of the mother earth not with their tears. ### I got the above image from a forwarded email.